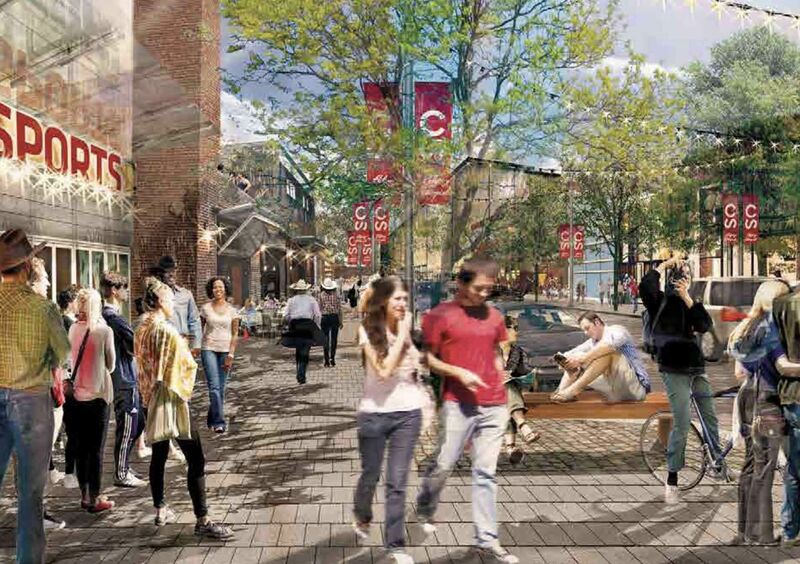 A street rendering from the new Rivers District Master Plan, which includes a new NHL arena as a centrepiece. Councillor Davison is rehashing the Flames’ old script. This is the first instalment of Councilwatch, a new Sprawl column that will regularly focus on city hall amid other Sprawl pop-ups. If you value independent Calgary journalism, please sign up as a monthly supporter of The Sprawl! Ken King has been laying low of late. The Calgary Flames president, who isn’t exactly known for his charm, hasn’t been out in public making the case for a new publicly-subsidized NHL arena like he was a few years back. But then, he doesn’t really need to. Since being elected to city council in 2017, Jeff Davison has emerged as the project’s enthusiastic pitchman. Davison, whose background is in marketing and public relations, spearheaded the creation of a council arena committee last year, injecting the file with a new sense of urgency. He argued that the onus was on city hall to re-engage with the Calgary Sports and Entertainment Corporation (CSEC), which owns the Flames. Council meets Monday to decide which long-term capital projects to prioritize: a new NHL arena (estimated at $600M), the BMO Centre expansion ($500M) and Arts Commons expansion ($420M), all of which are slated to be in the planned Rivers District in Victoria Park. A fieldhouse at Foothills Athletic Park is the fourth item on the list. “City council must make the event centre our top priority,” Davison declared in the Calgary Herald last week, using his, city hall's and the Flames' preferred euphemism for "arena." As Davison makes his pitch, it's worth taking a closer look at how this issue has been framed since CSEC first proposed a new home for the Flames in 2015. Victoria Park has historically been a working-class neighbourhood on the east side of downtown. Over time, old houses have given way to condo towers and expansion of the Calgary Stampede. Now the city has a 20-year vision for east Victoria Park: a master-planned cultural and entertainment district with an arena and expanded convention centre as centrepieces. CMLC, the city-owned developer leading the effort, points to the redevelopment of East Village as a promising precedent for such a district. 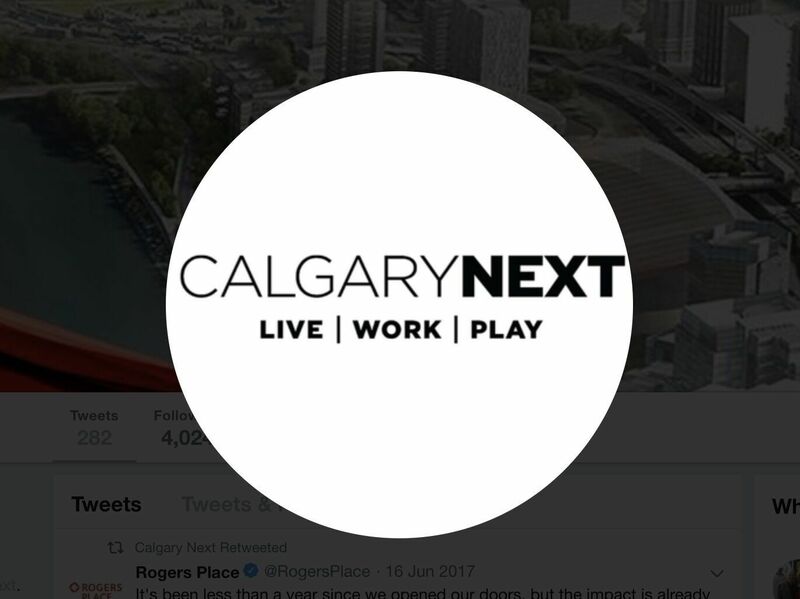 In 2015, the Flames released their own vision for a similar (but far more simplistic) redevelopment on the opposite side of downtown: CalgaryNEXT, which would have rolled together an NHL arena, CFL stadium and fieldhouse into a single facility in West Village. If you look at how the Flames pitched their new arena then and how Davison is pitching it now, there isn't much difference. Davison and other councillors have downplayed who stands to directly benefit most from a new arena: the Flames. Instead, they talk up the district. The idea is that the Rivers District as a whole will create jobs and generate much-needed tax revenue for the city, benefitting all Calgarians. Last week, referring to the Rivers District plan, Davison said that “our new Event Centre is the project that makes it all possible.” Not could be, but is. Davison can't bring himself to call the arena an arena. What events will the "event centre" be used for, in addition to hockey and concerts? Both Davison and Councillor Ward Sutherland have offered esports—the growing phenomenon of competitive video games—as an example. Likewise, in Davisonese, CSEC’s wealthy owners are “key stakeholders,” a hazy rhetorical smokescreen that obscures exactly who we're taking about. Flames co-owner Murray Edwards has a net worth of about $1.4B, according to Forbes. In 2015, Canadian Business put fellow co-owner Allan Markin's net worth at $600M. When CBC Radio host Jennifer Keene asked Davison directly on January 25 about the Flames' moneyed ownership, the councillor balked and steered the conversation elsewhere. That’s the conversation Davison clearly wants to avoid, but it's the one we need to have. In Calgary, as in Edmonton, the public will likely be tapped for hundreds of millions of dollars to subsidize a private business owned by some of Canada's richest men. After the initial round of city-CSEC negotiations stalled, Brian Burke, then the Flames' president of hockey operations, dangled the threat of relocating the team, a classic tactic by owners of NHL clubs. Davison has also played this card—what if the Flames left? !—albeit more subtly. "When you look to the social fabric of the city, I think we all know what would happen if the Flames left," Davison said last week. "Winnipeg is one of those places that it was certainly a detriment to the city for many, many decades when that team left." (In fact, it was less than two decades.) "They’ve got a team back now and you see the development that comes along with it." Davison has been eagerly promoting the new Ernst & Young economic impact report, released last week, which predicts a positive economic impact if the arena project goes ahead, along with the BMO and Arts Commons expansions. He has not, however, quoted from page 36, which notes that “a large body of research suggests that the economic and financial outcomes of these projects are negligible, and may even be negative once public subsidization is accounted for.” Numerous economists have made this case—that rosy forecasts for these projects tend to be overblown. Meanwhile, city administration has documented the social, environmental and financial impacts of each of the four projects on the table on Monday. But the public is not allowed to see these analyses. They're being kept confidential under FOIP because the report contains financial info of third parties, along with funding negotiations with other levels of government. In the absence of that information we have Davison’s pitch, which is coinciding neatly with a successful Flames season. There's no question that the councillor has been working diligently on this file for "key stakeholders," to use his term. The real question is: which ones? Jeremy Klaszus is the founder/editor of The Sprawl. If you value independent Calgary journalism, please sign up as a monthly supporter. We're crowdfunded, ad-free and made in Calgary. Join the 550+ Calgarians who support The Sprawl!